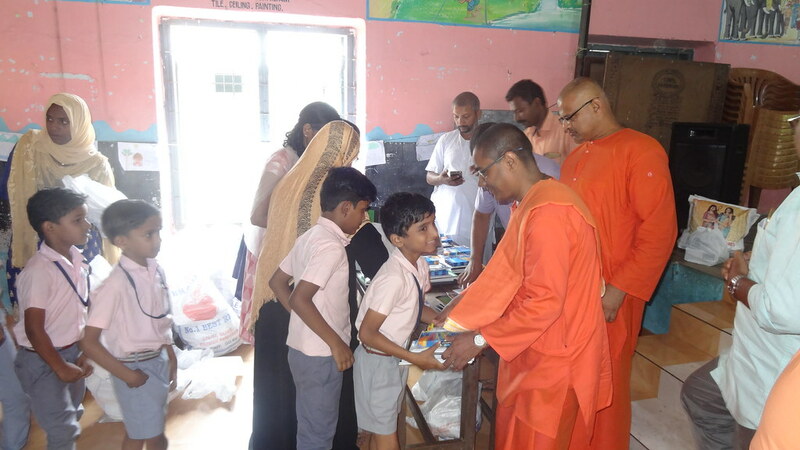 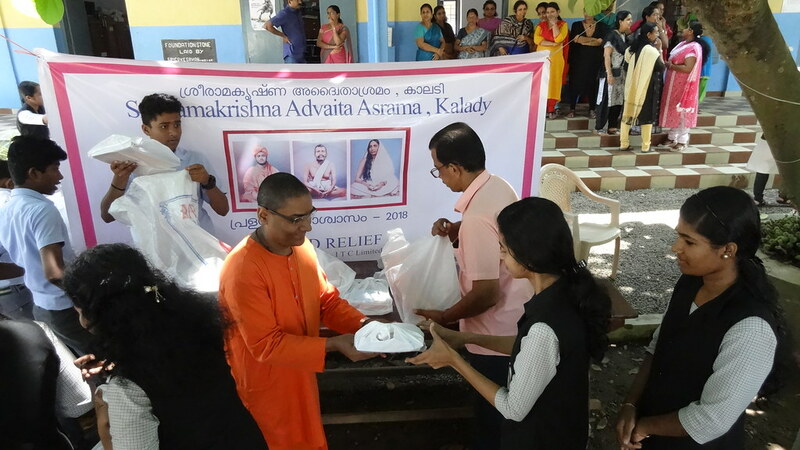 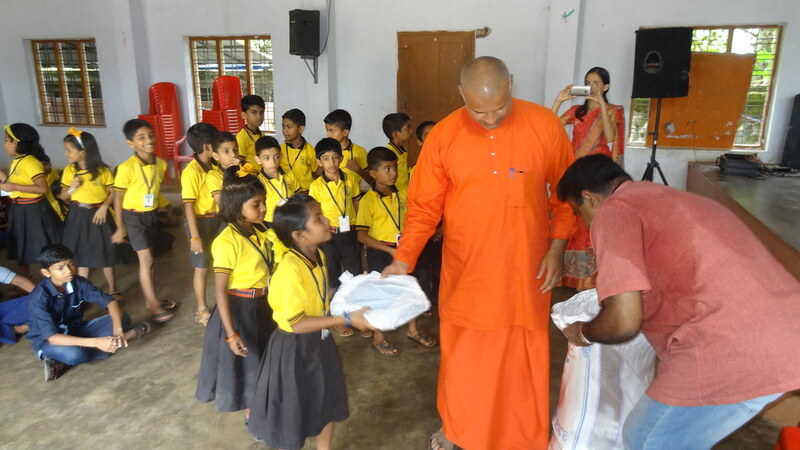 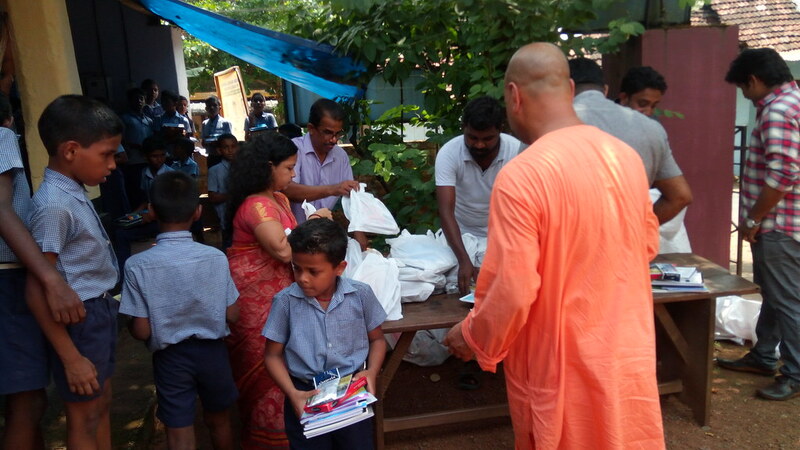 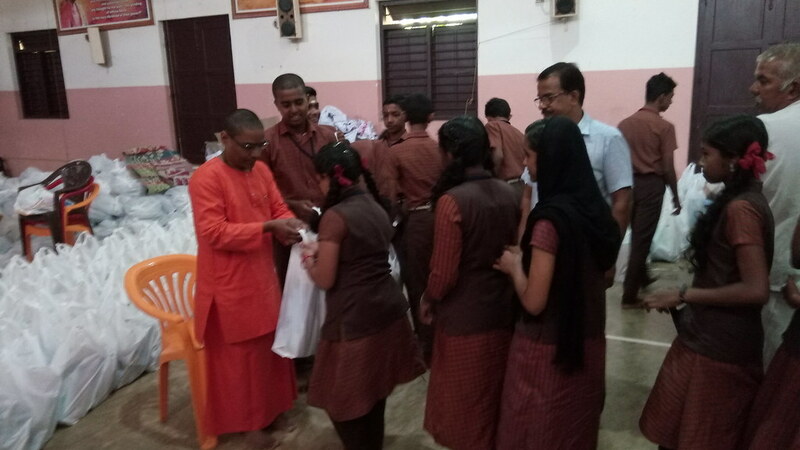 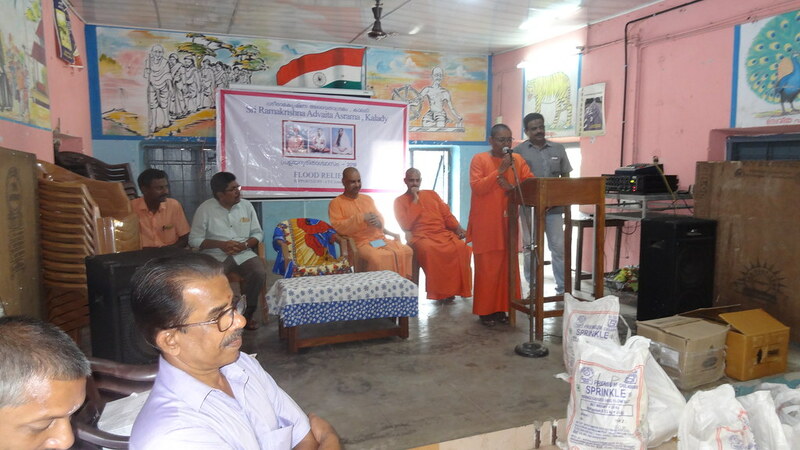 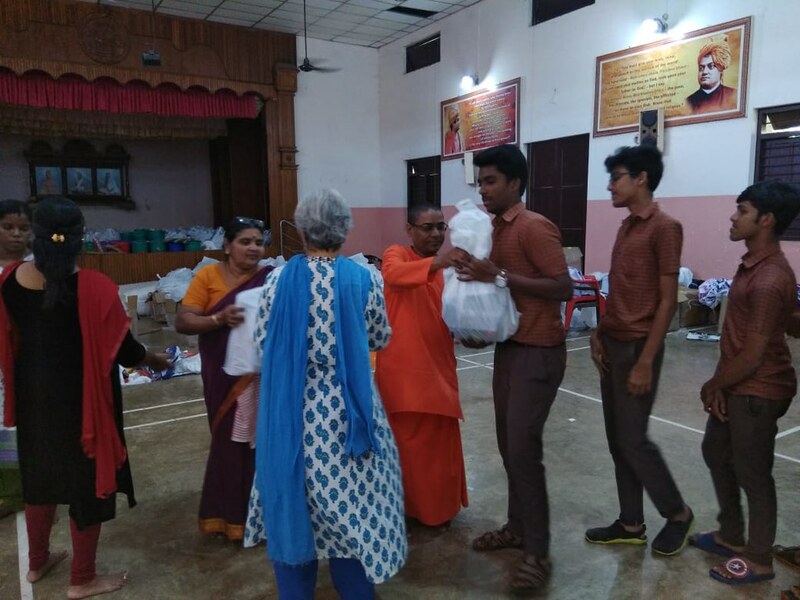 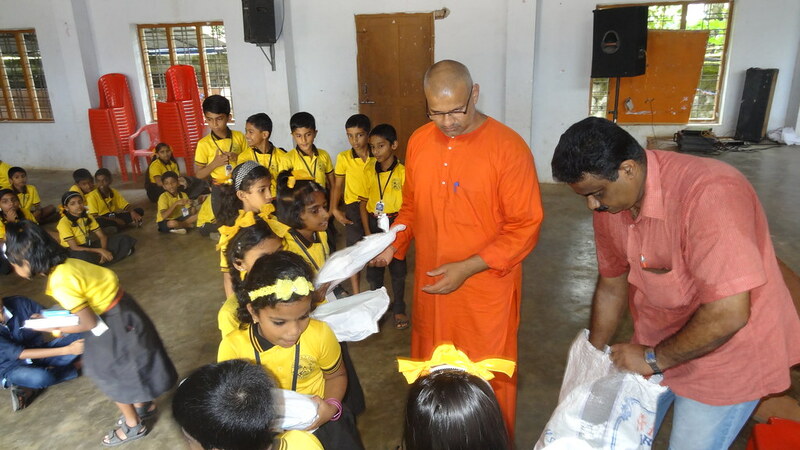 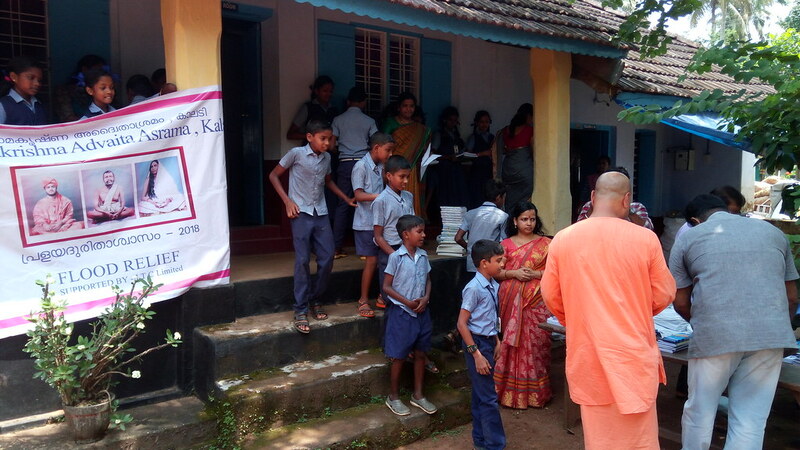 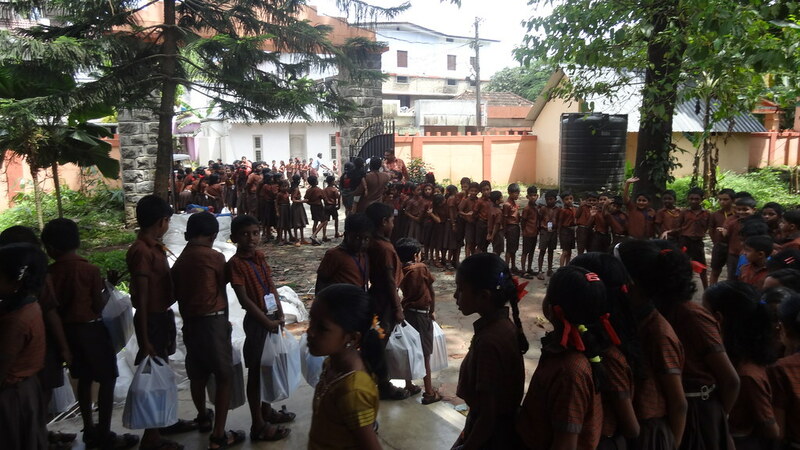 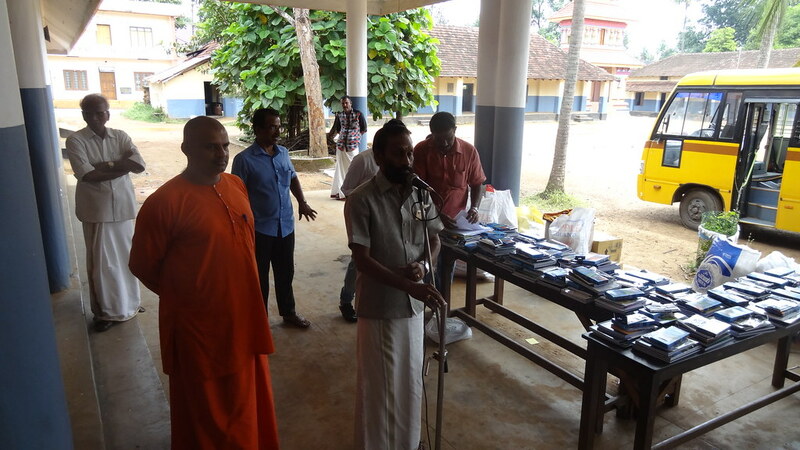 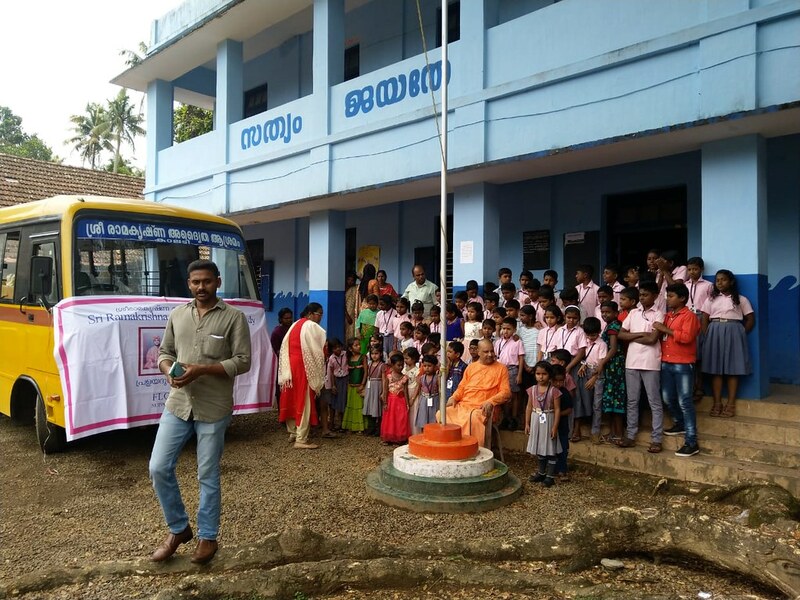 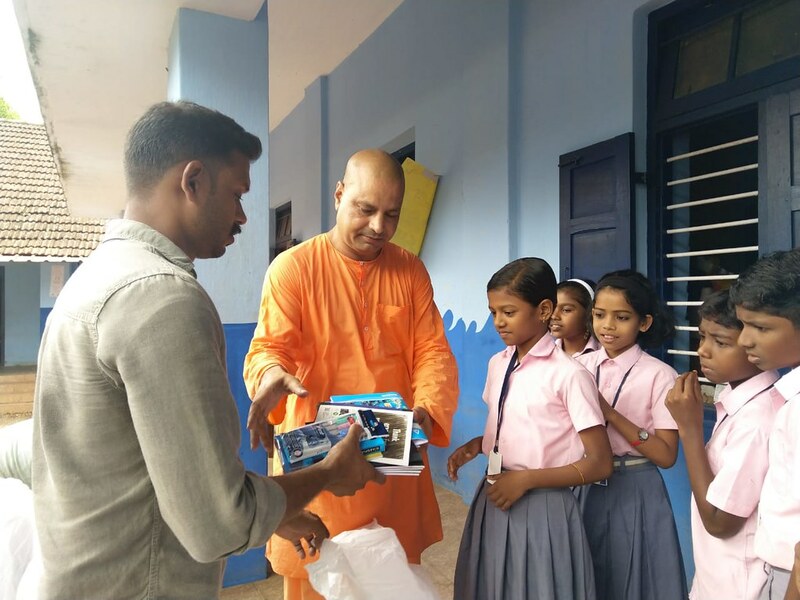 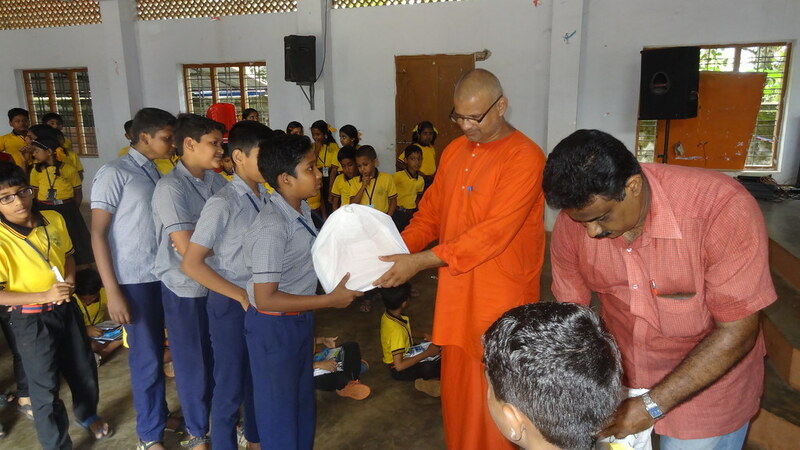 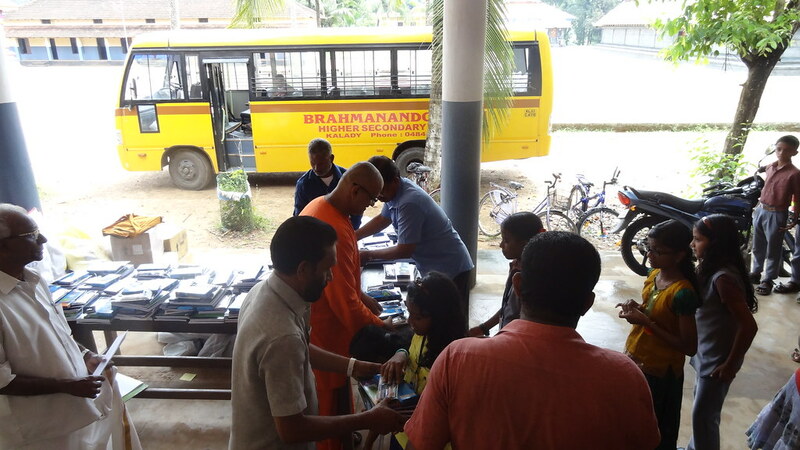 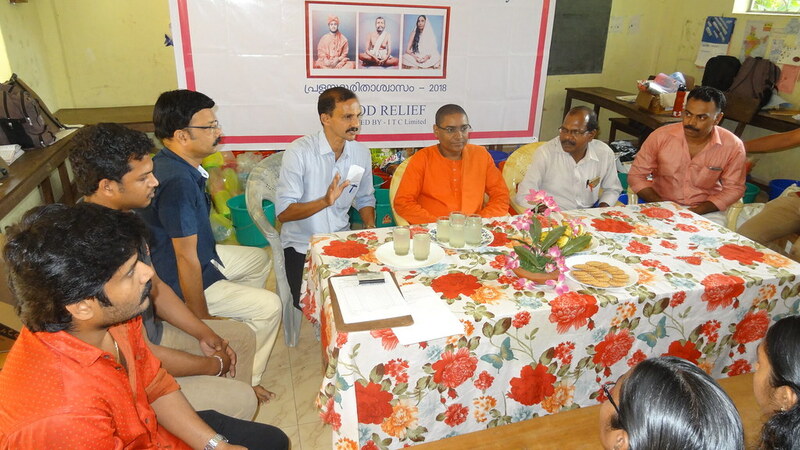 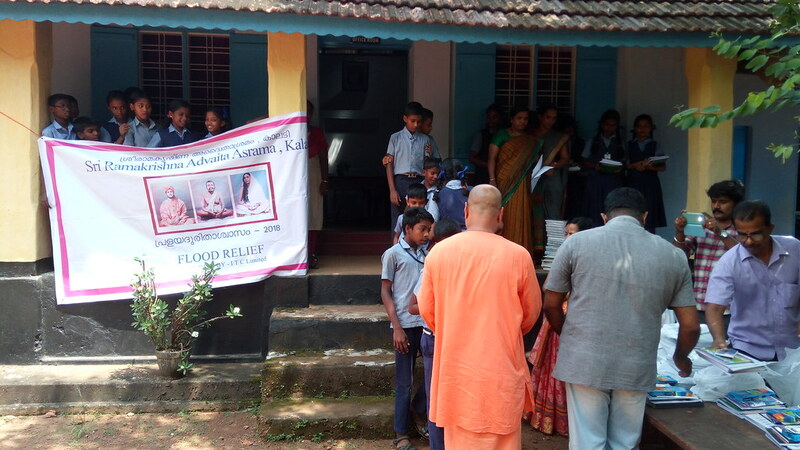 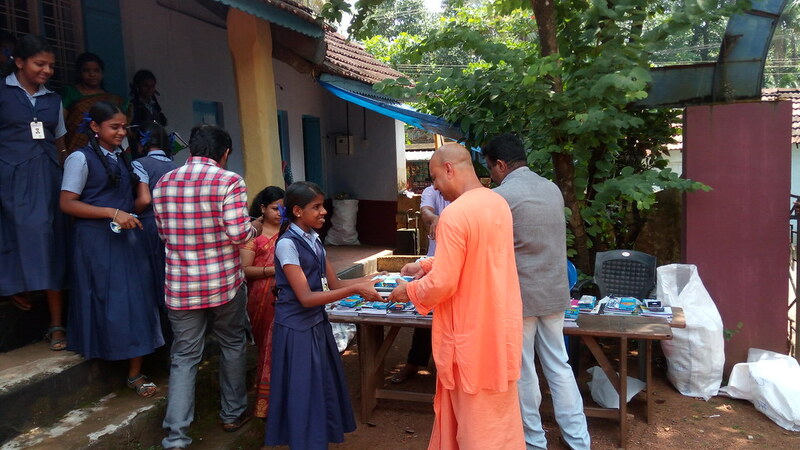 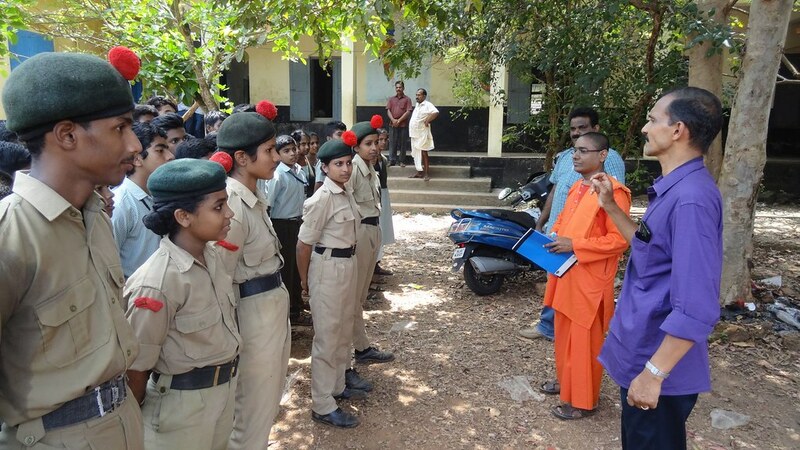 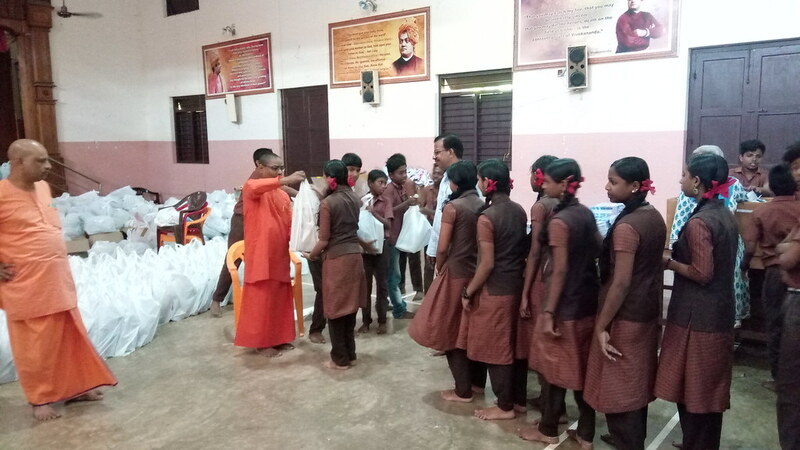 Ramakrishna Mission Advaita Ashrama, Kalady, started the distribution of the ITC Educational and Stationery items from 24-09-2018 at the flood affected schools. 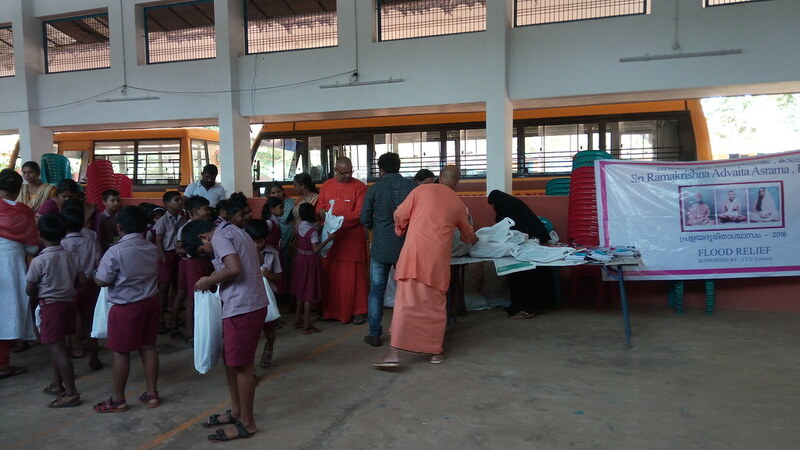 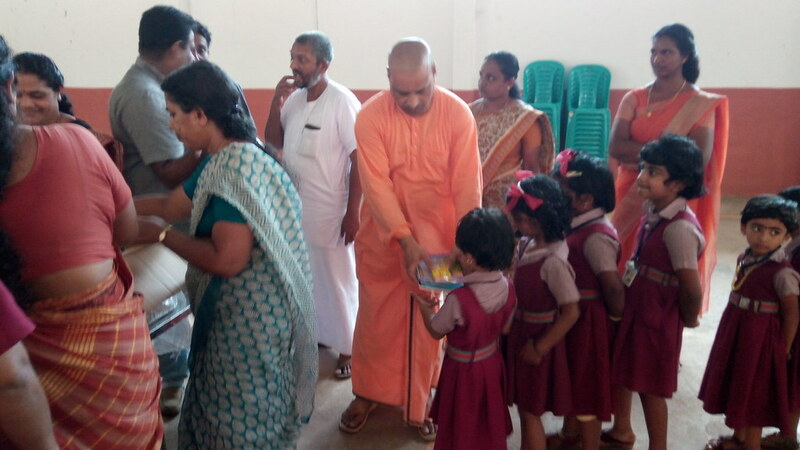 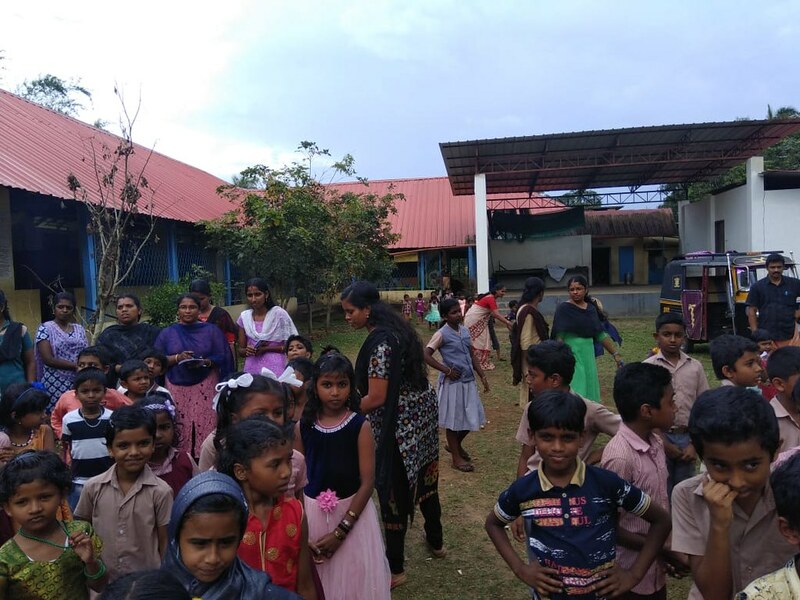 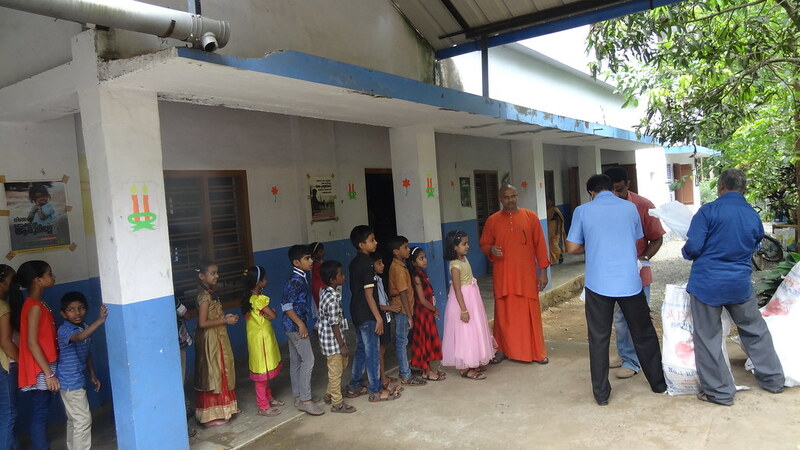 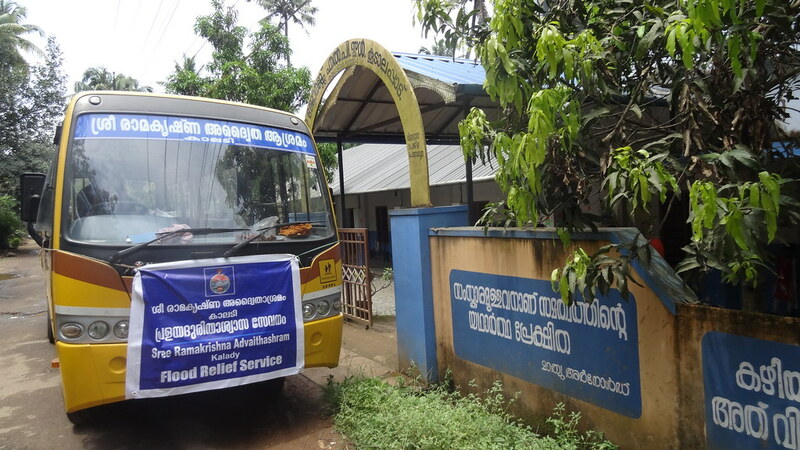 Along with this, the Ashrama has added Chicago Address and Call to the Nation (English and Malayalam) for all and Wax crayons for KG children from Kalady Centre. 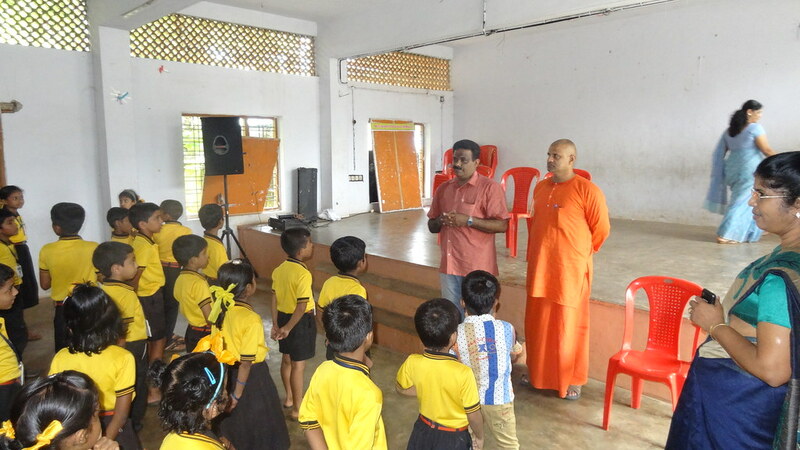 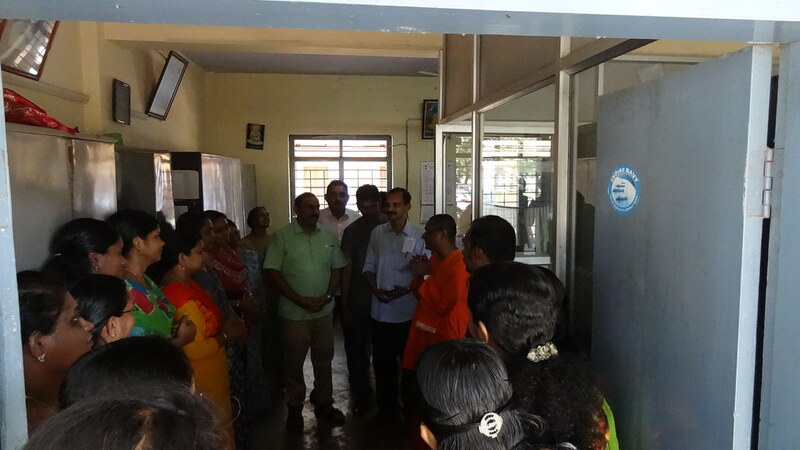 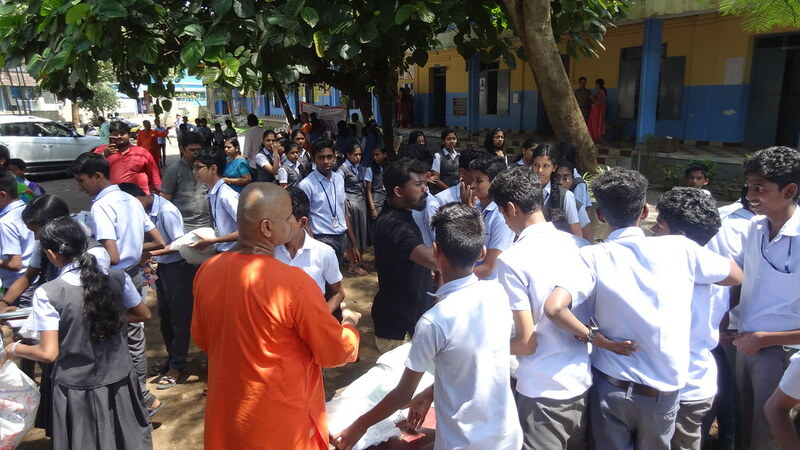 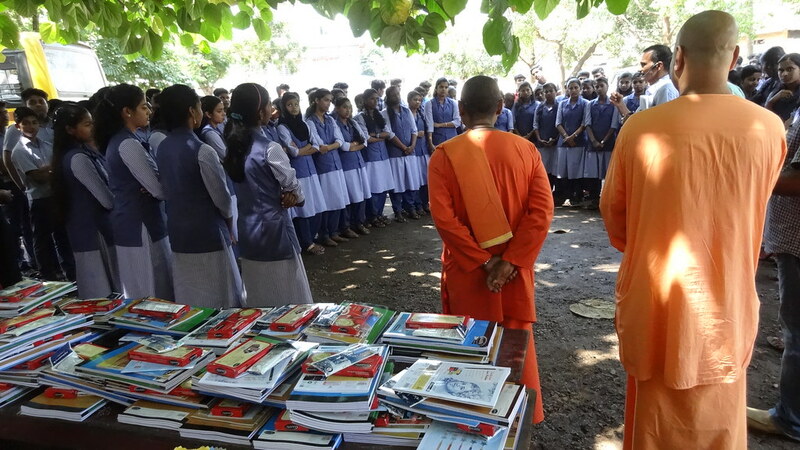 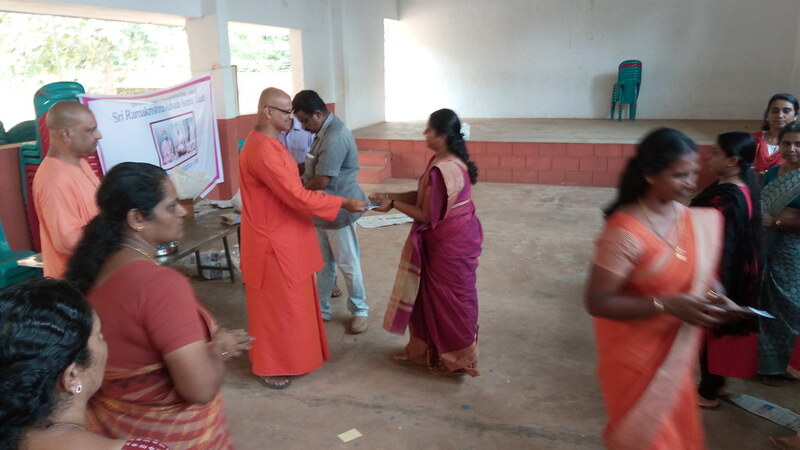 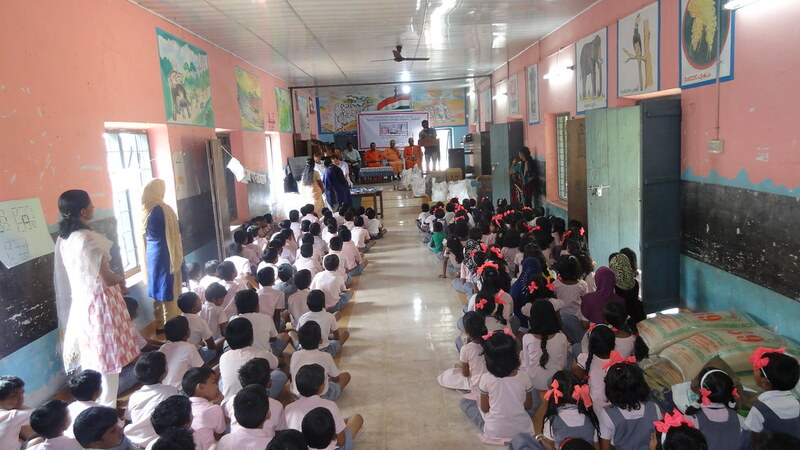 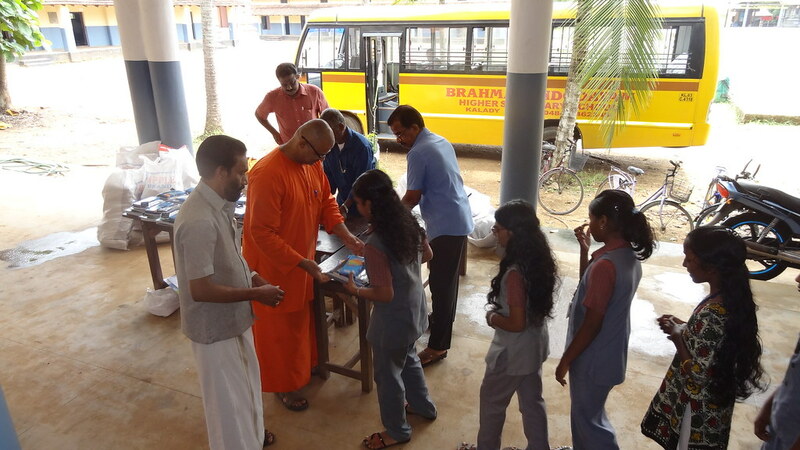 Before the distribution, the Ashrama conducted a small value education session for 10 minutes. 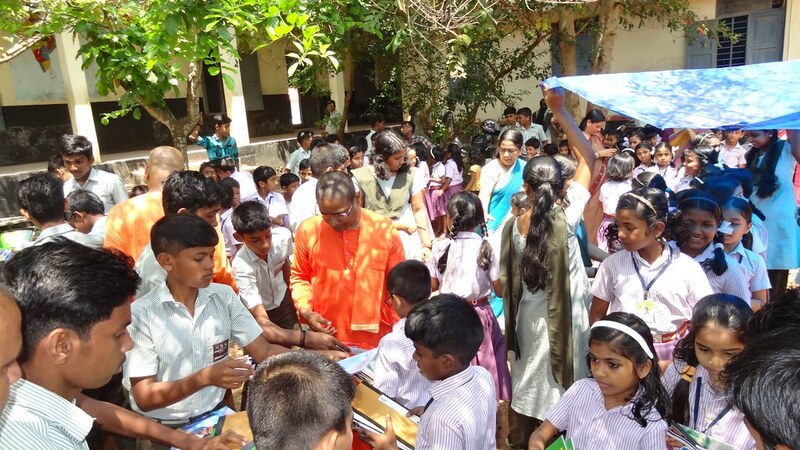 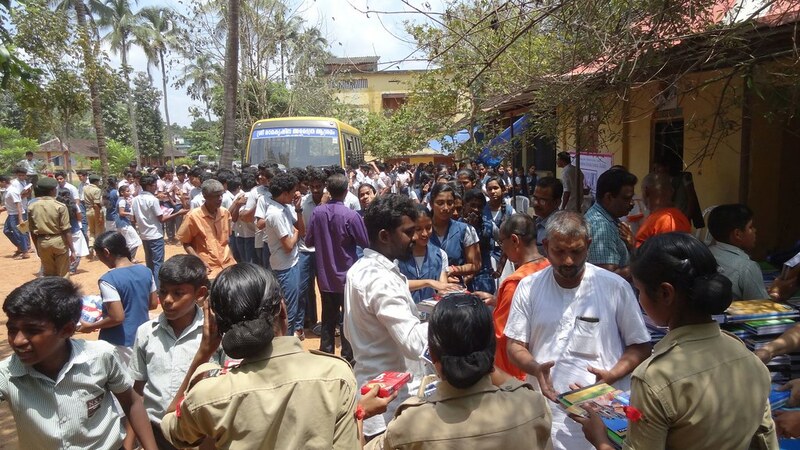 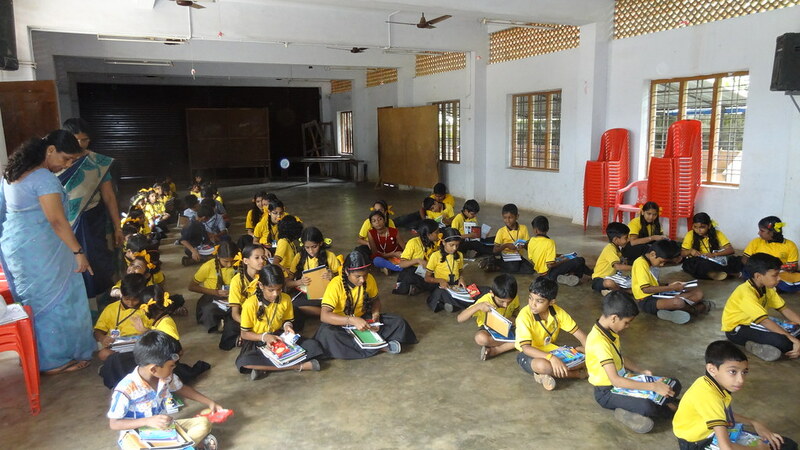 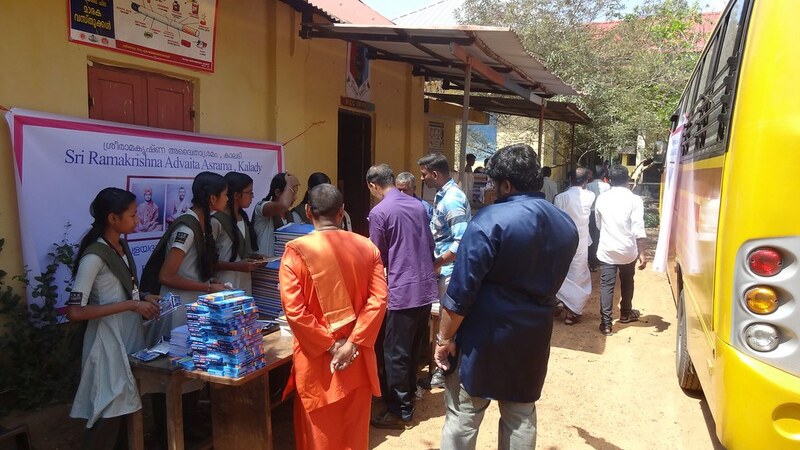 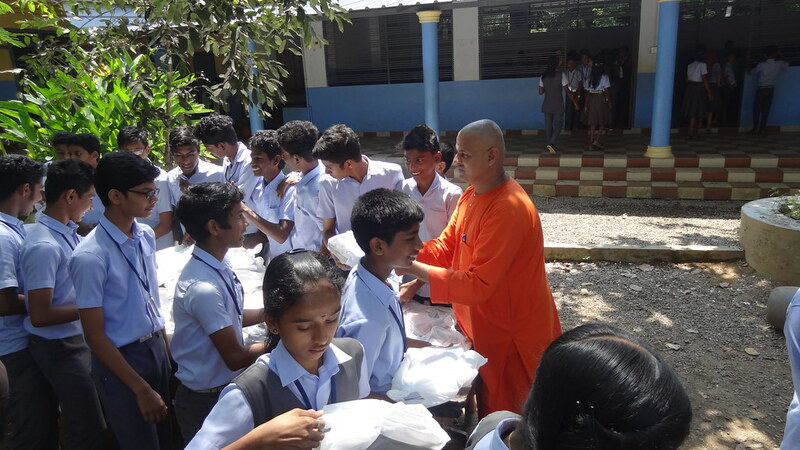 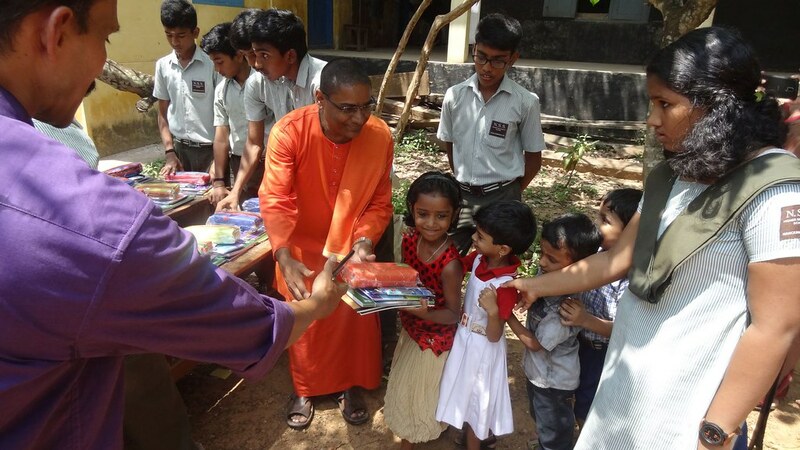 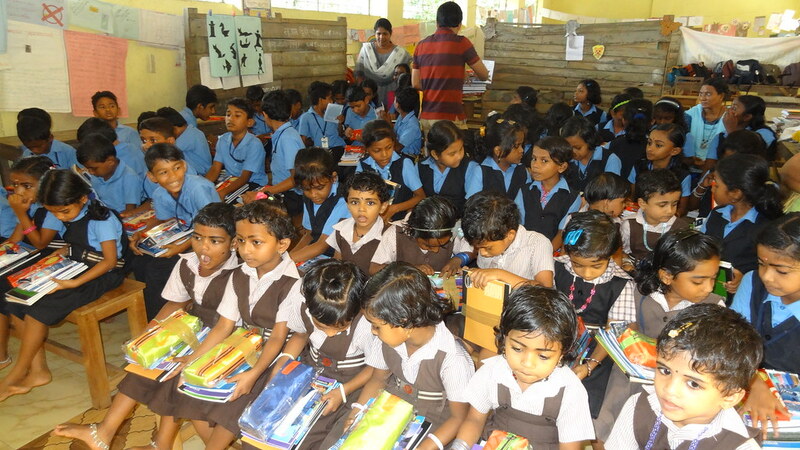 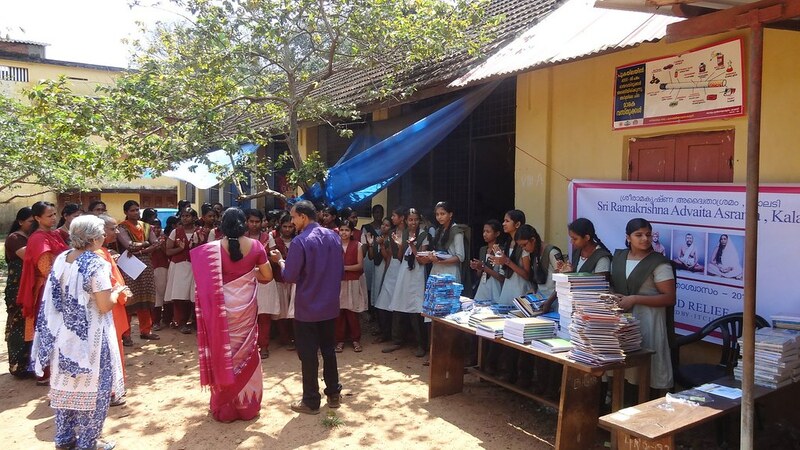 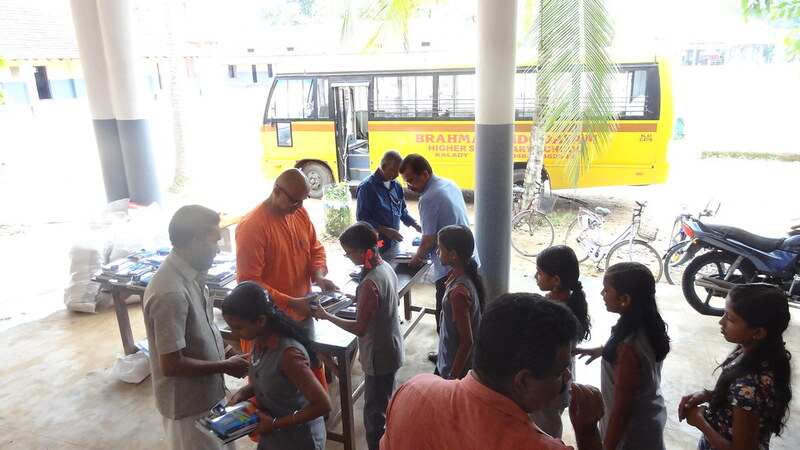 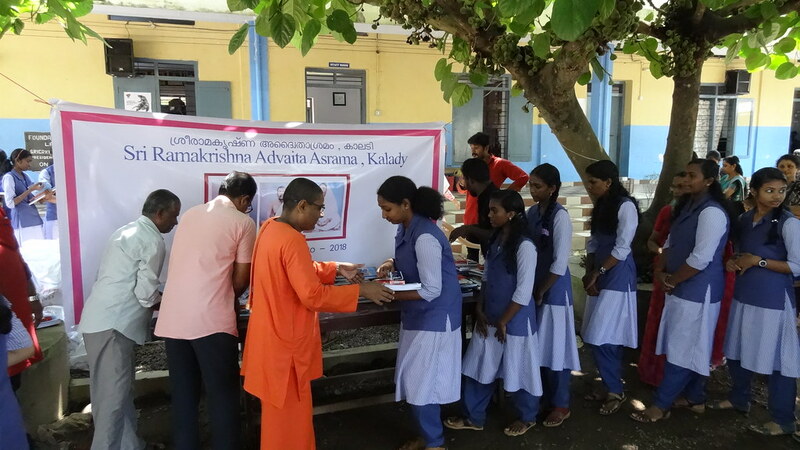 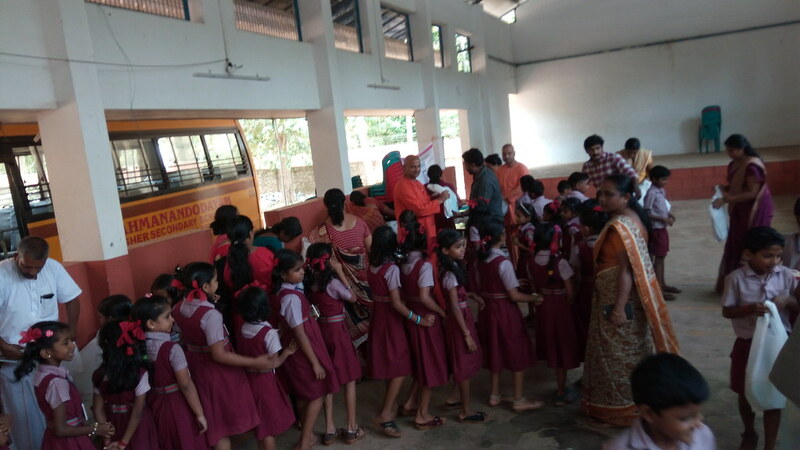 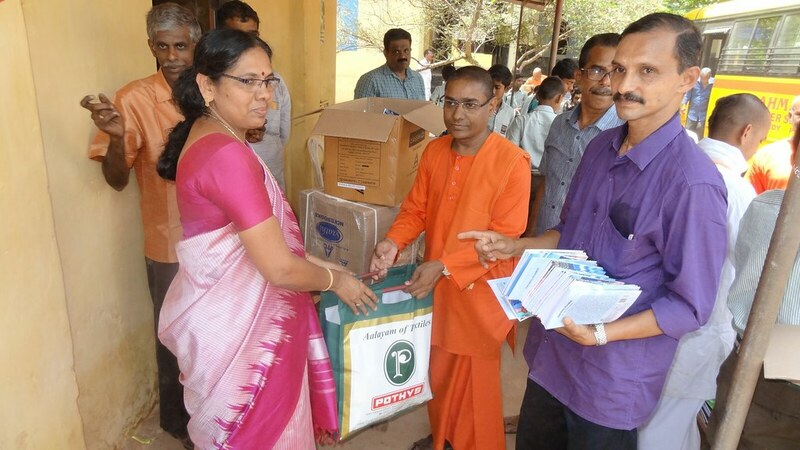 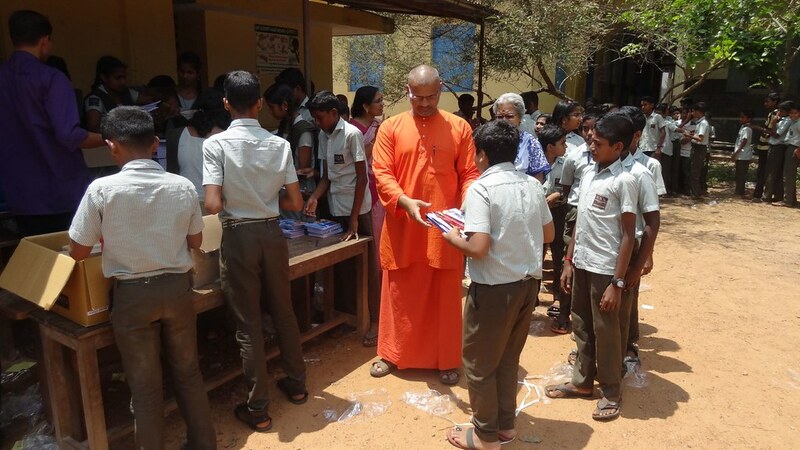 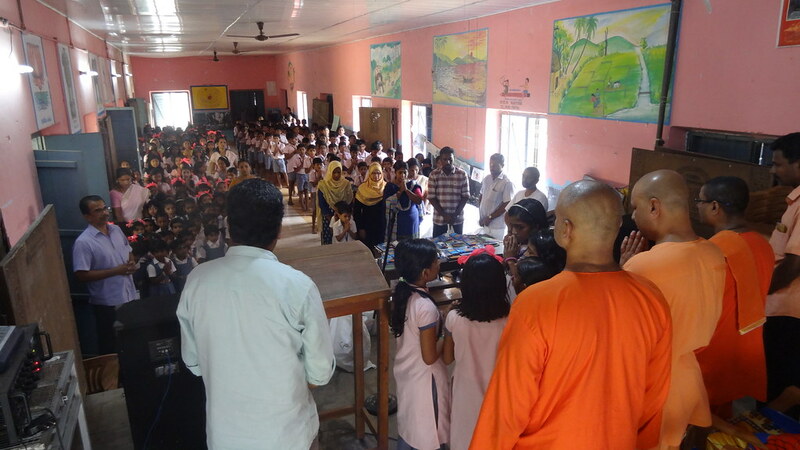 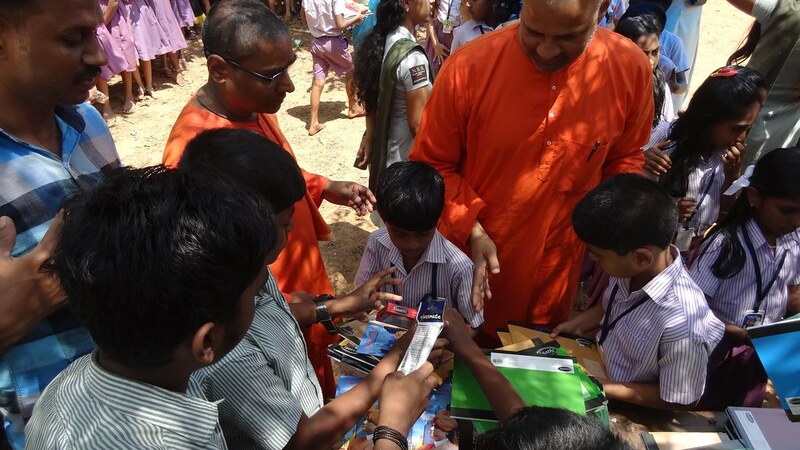 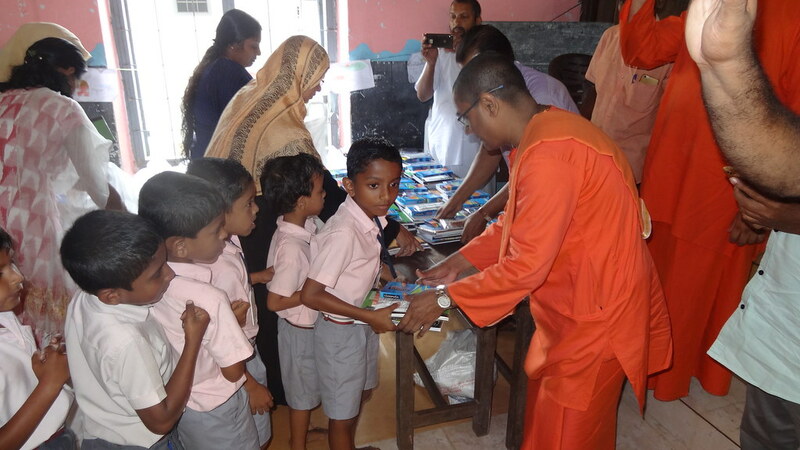 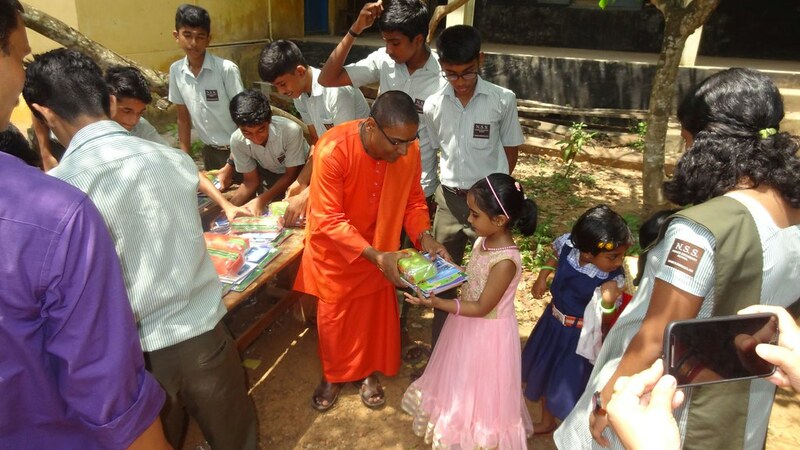 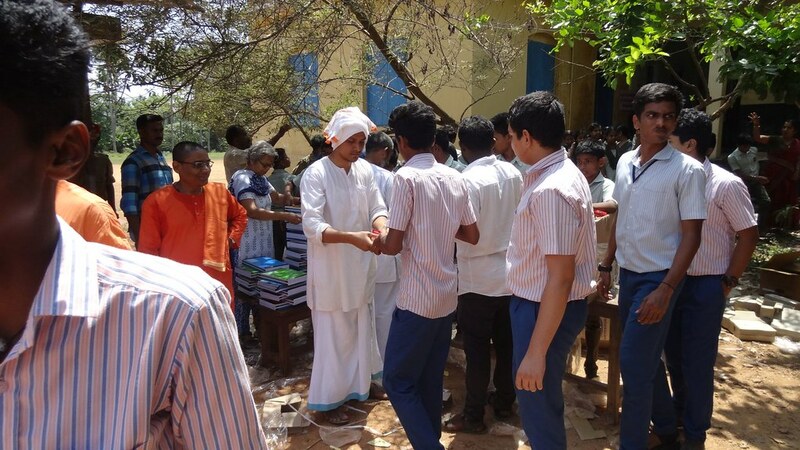 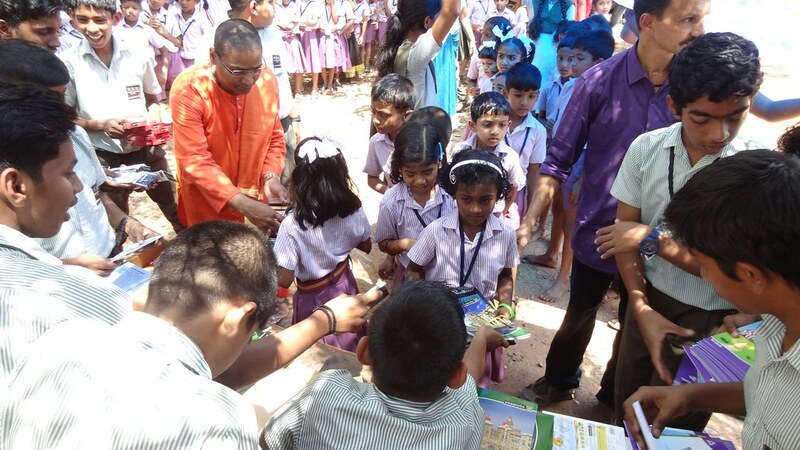 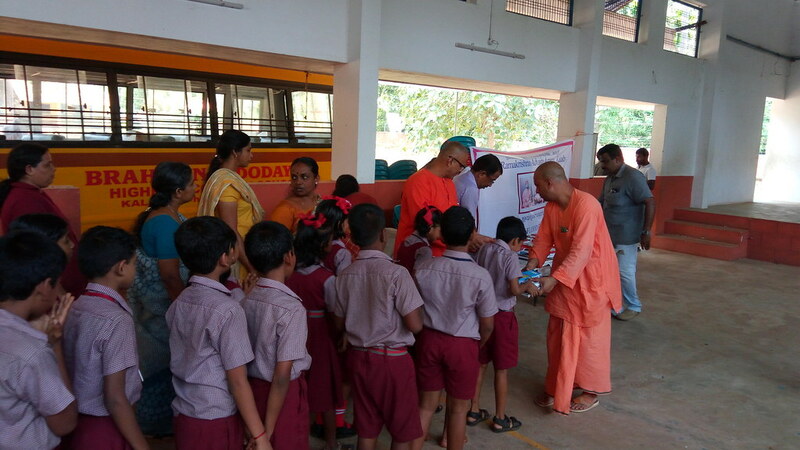 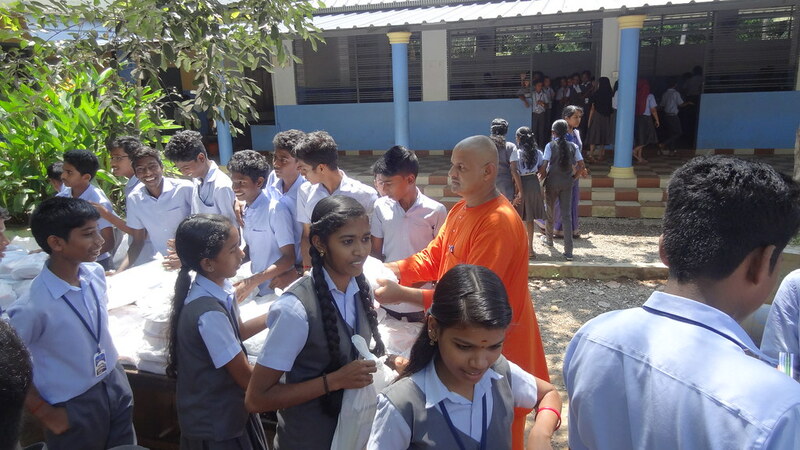 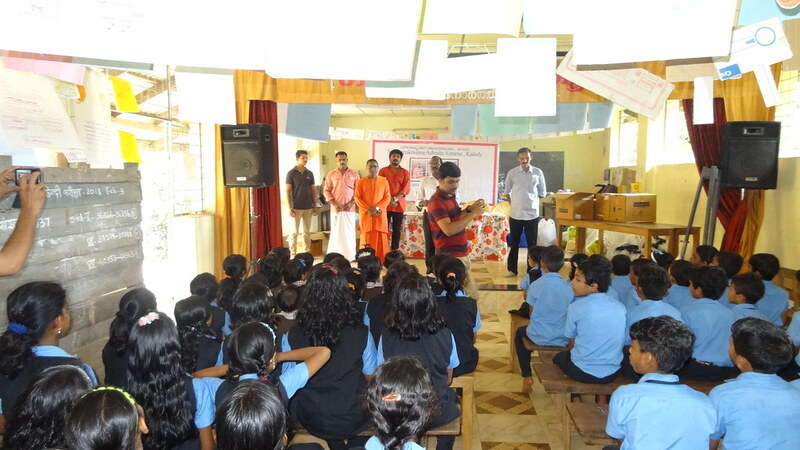 The Ashrama distributed note books, geometry boxes, pens and crayons to the 5,925 students at 20 different Schools. 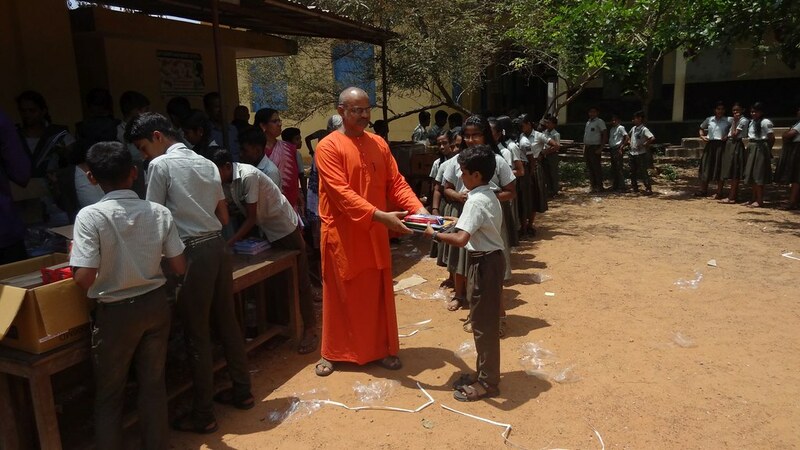 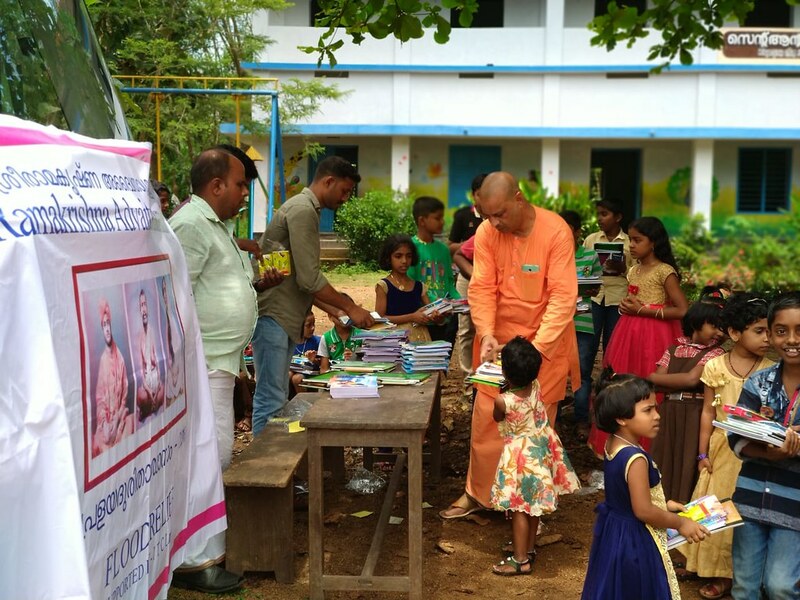 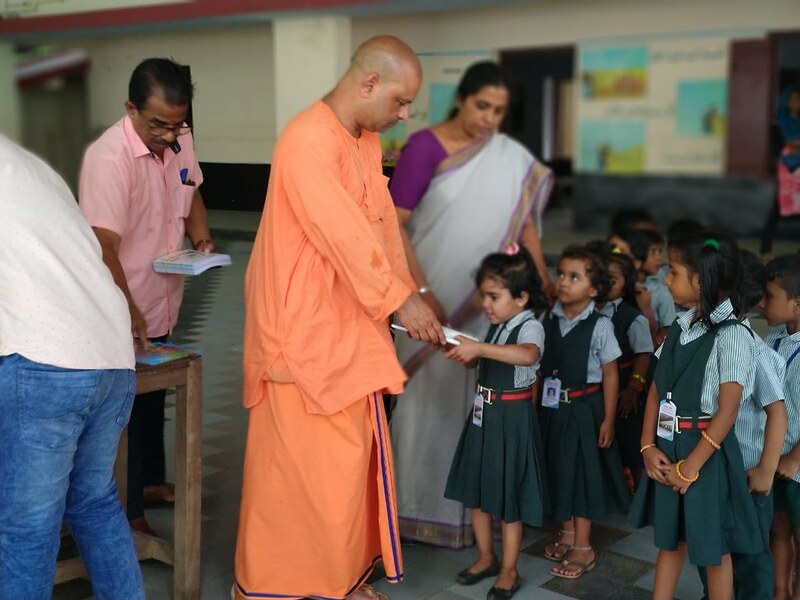 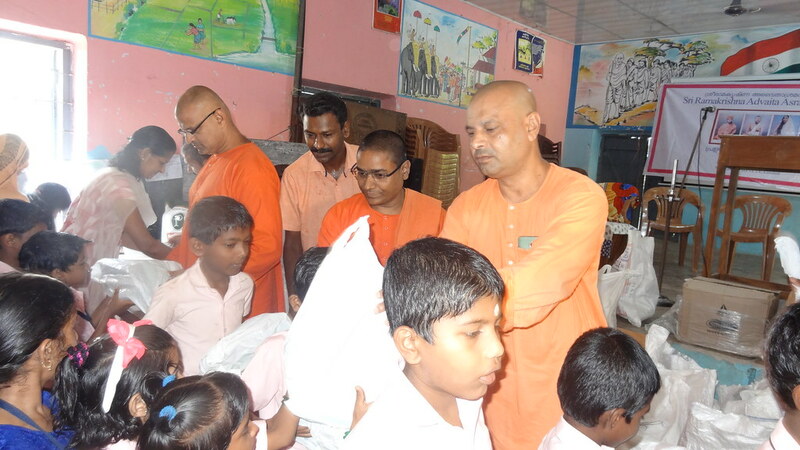 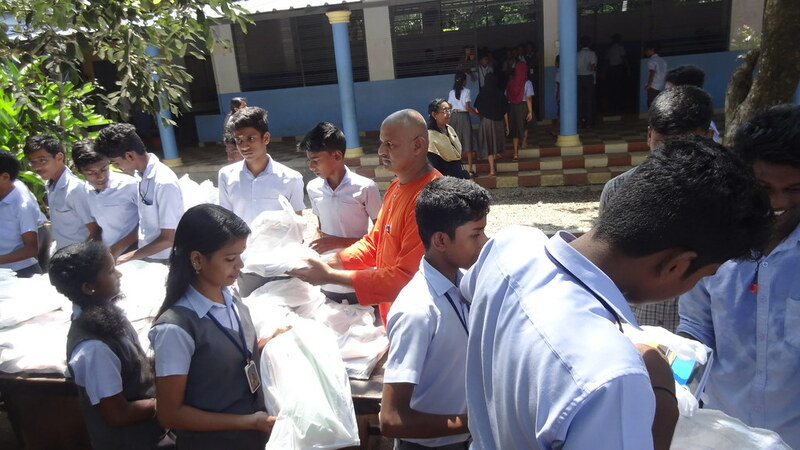 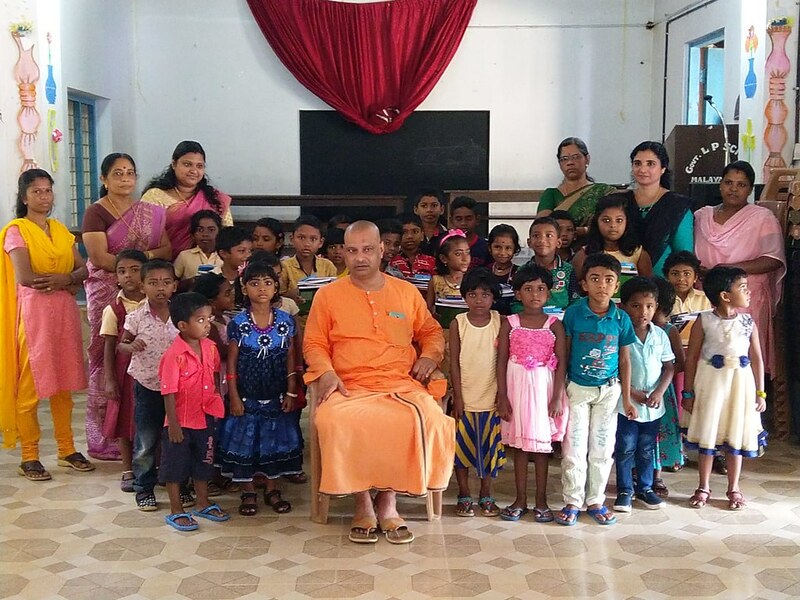 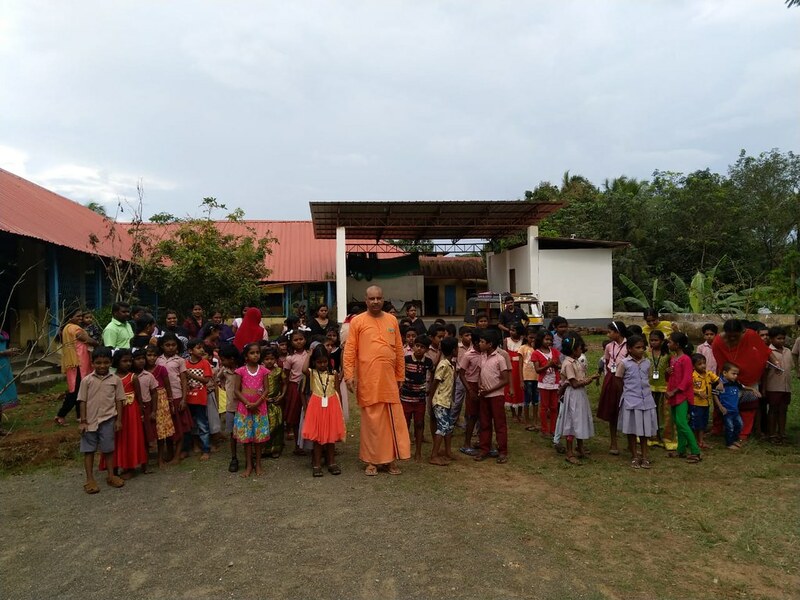 The Ashrama has so far distributed 1,51,557 stationery materials to the children from Kindergarten to Pre-University level.